Hi! Thank you for spending some of your time to visit me. 🙂 I’m very happy to be here today with a reminder for The Mixed Media Card Challenge’s Challenge #22 – April – Sunshine. 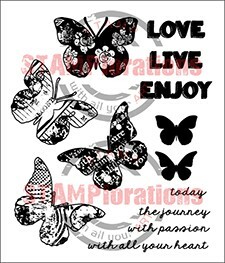 and then stamped with some of the large Trendy Butterflies stamps. I’d like to play this along at Double D Challenges:’YELLOW’ A Happy Place To Be. Next, I added some small black Trendy Butterflies. 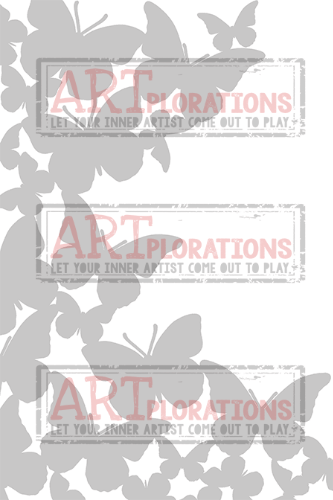 I’d like to play this along at ARTplorations Flash Stencil Project Linky Party. Finally I added the yellow cs sun which I had colored with some more Gelatos and added a white & black mat and a dark yellow card base. I had a lot of fun making this card! Make sure you stop by The MMCC blog and check out my teammates superb creations! 5. Submit your projects by April 25, 11:55 p.m. Pacific (GMT-8). 6. We’ll announce the winner and highlights on April 31. 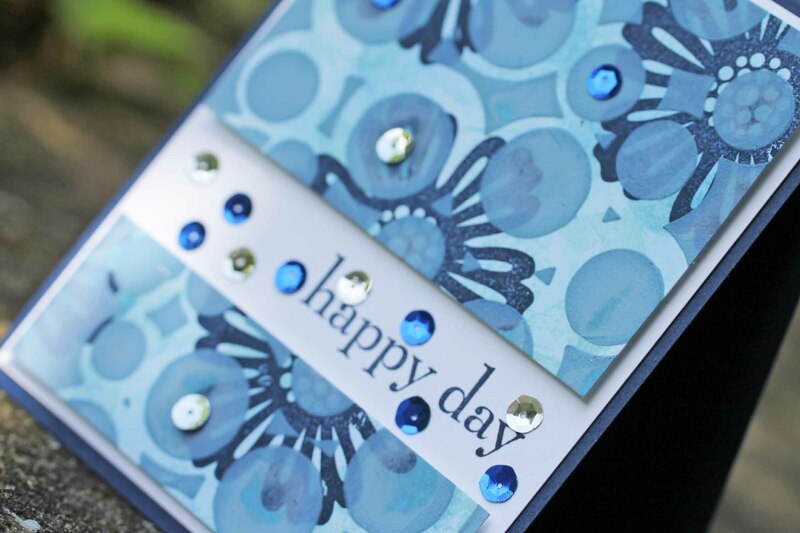 Follow Honeybeelane’s board “Stamping – Cards at honeybeelane.wordpress.com” on Pinterest. 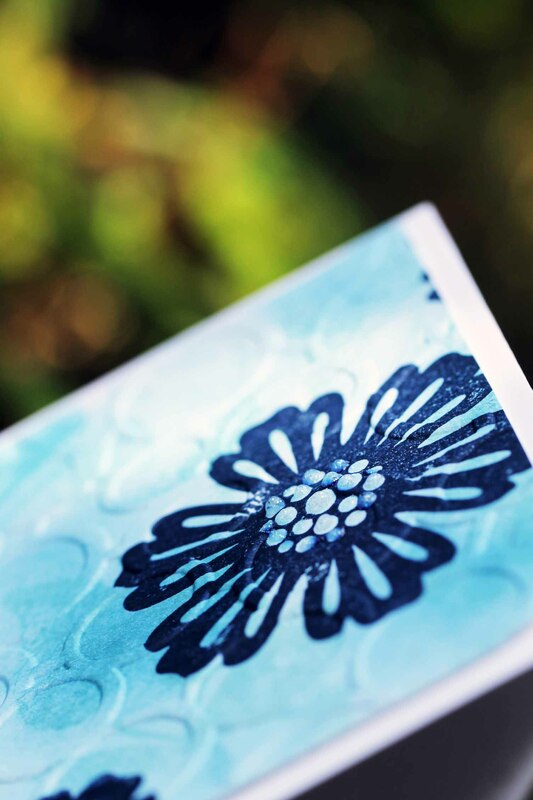 I’m so happy to be joining you as a member the of ATSM Design Team today with a card for this week’s Photo Challenge #165 ! This week our sponsor is Stamplorations. The prize is a $10 gift certificate for the store. 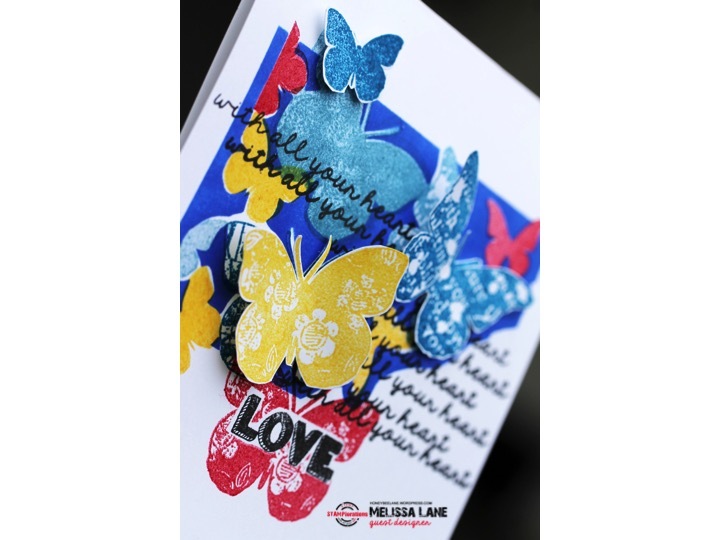 I made this using the Trendy Butterflies stamp set. I had a lot of fun making this! I love the masking/sponging/ink blending technique which I used. I’d like to play this at Less is More’s Week #244 Colour Challenge: Jewel colours. and Word Art Wednesday’s Week #204: Anything Goes. 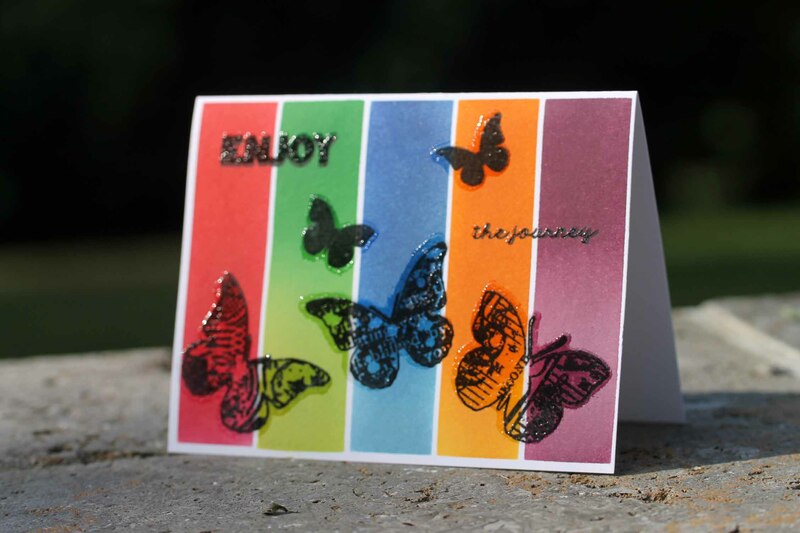 I heat embossed the butterflies by stamping with the back sides of the stamps over the previously stamped black butterflies. I can’t wait to see what everyone comes up with for this challenge! 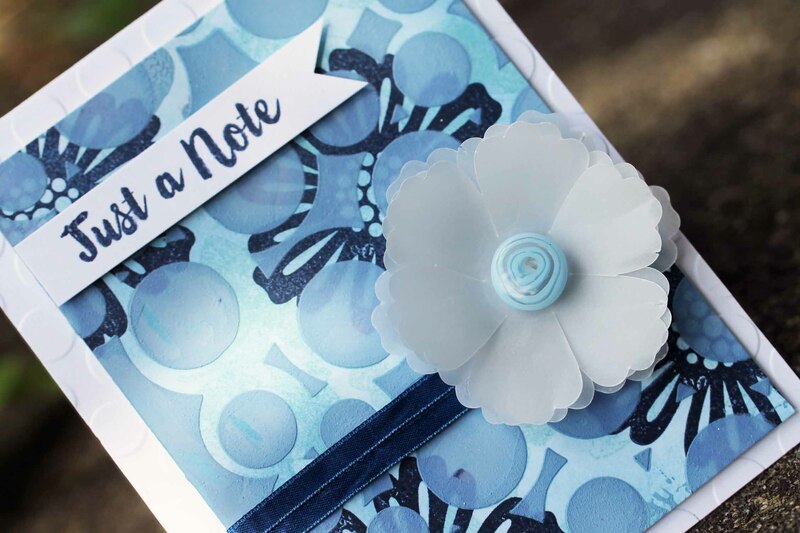 Be sure to stop by the blog to see all of the inspiration from the rest of the team and to play along. 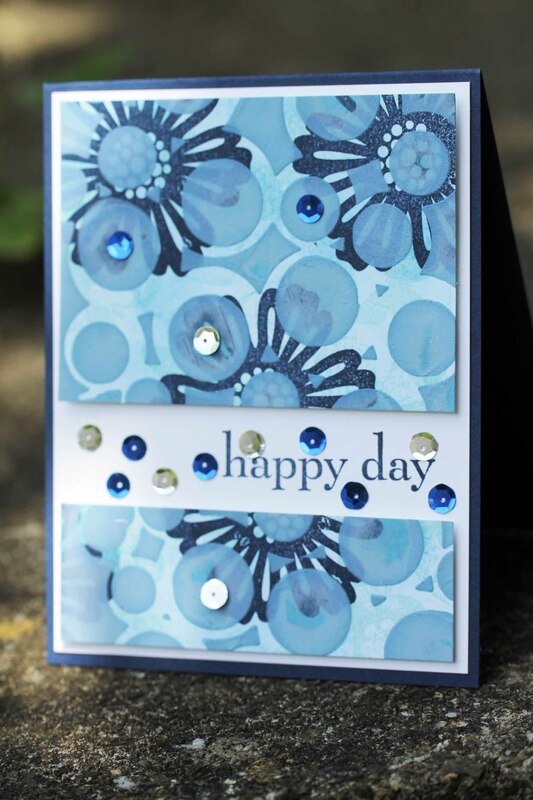 I am so happy to be sharing some cards with you today as part of the MMCC Design Team. This month’s blue themed challenge is so much fun! Remember, you have until July 25, 11:55 p.m. PDT (GMT-7) to play! Isn’t this a cool theme?! I liked it so much that I made a bunch if different cards for this challenge. I have 4 fairly similar cards to share with you in this post. 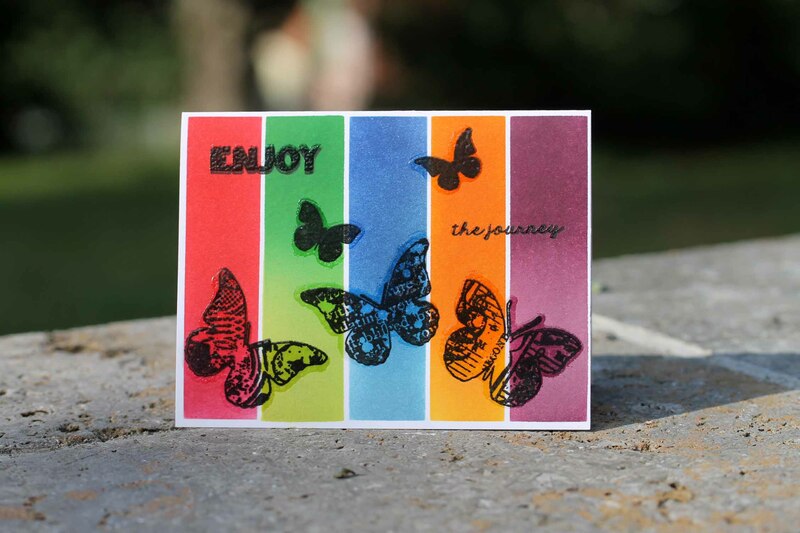 For all of these cards I used lots of ink for sponging and stamped the background with Stamplorations Trendy Butterflies and SU Mixed Bunch Flowers. 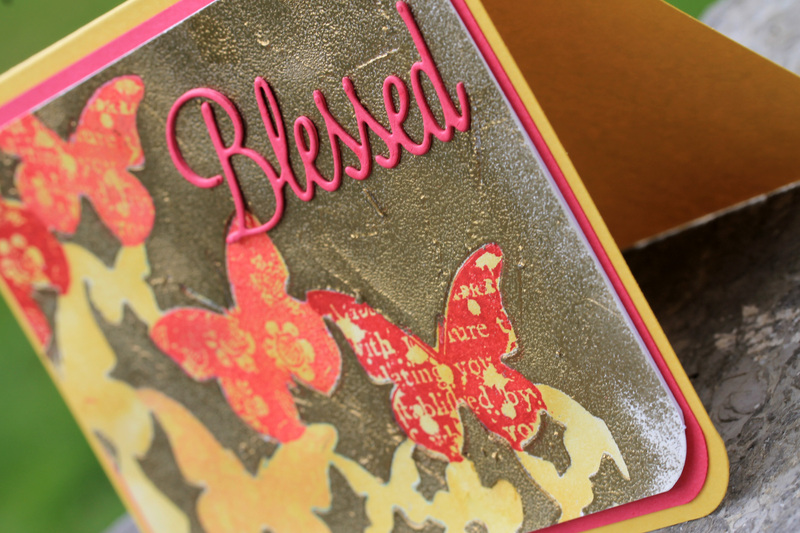 On 2 of the cards I used some ink-tinted Gesso and a Stamplorations Bubble stencil. 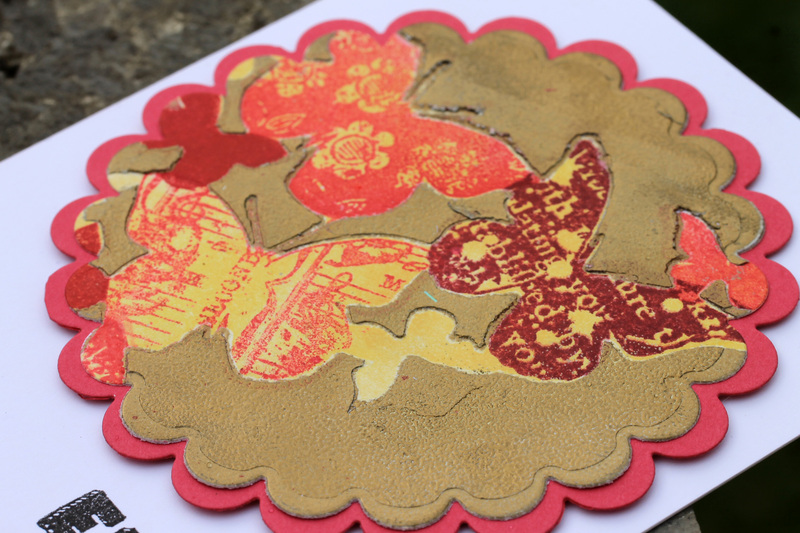 There’s dry embossing, Stickles, vellum, ribbon, sequins, and heat embossing involved in multiple of the cards too. 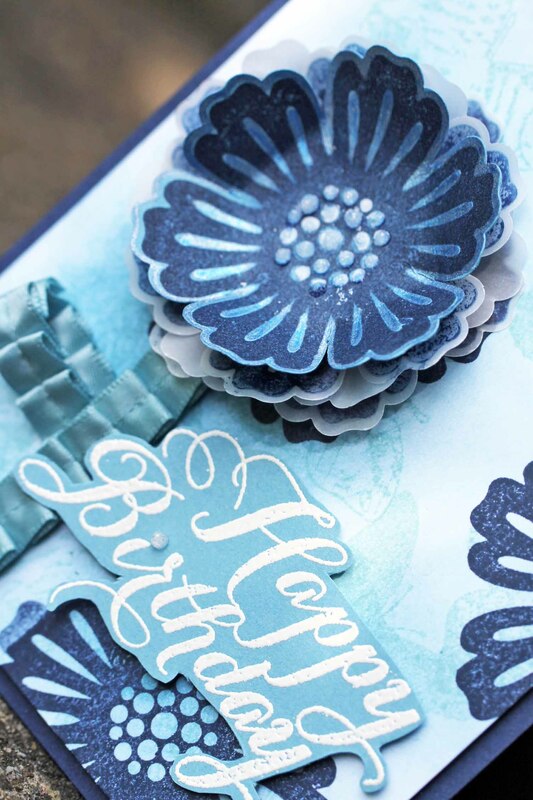 A mixed media party was goin’ on at my stamping table! 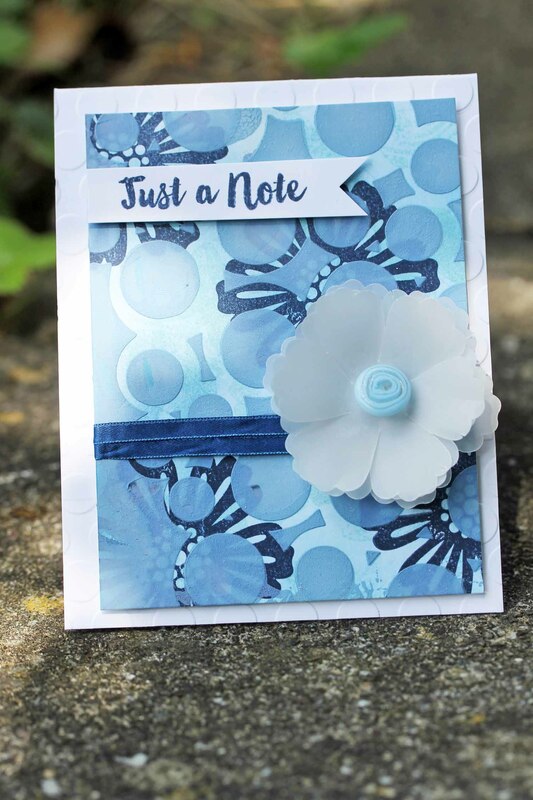 I’m going to play this “Just a Note” card over at SSS Monday’s Challenge: i scream for…these cards are all quite INKY! I am going to play this third card over at Stamplorations Anything Goes Challenge. I’d like to play this last card over at WAW’s #193 Anything Goes. It’s blistering hot here today, 97 degrees F in the shade (36 Celcius). So, I’m pretty drained and will stop typing and share slide show of some of the process that I used to make these cards. So! I hope that I have inspired you to play along with this month’s MMCC challenge. 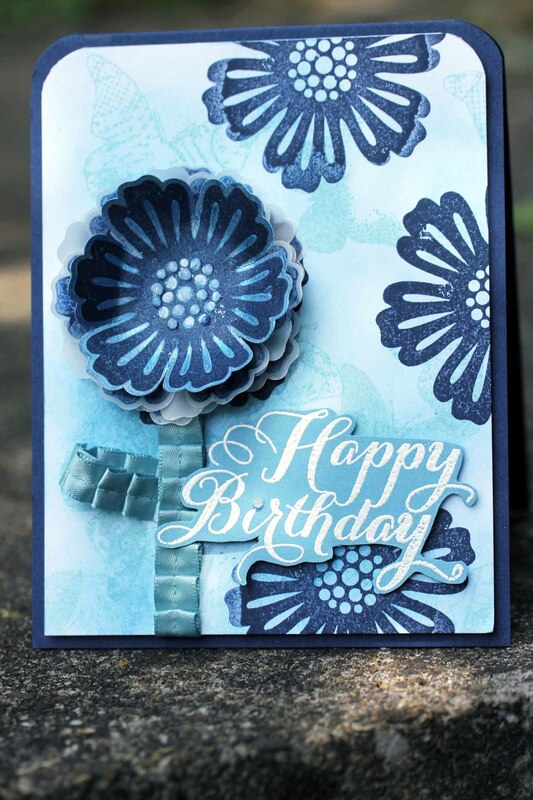 Please stop over to the blog for some inspiration from the rest of the design team and to link up your entry. 5. Submit your projects by July 25, 11:55 p.m. PDT (GMT-7). Here are all of the other cards that I made for this month’s challenge. Click on any of them to go to 1 of the 2 other posts where they are located. 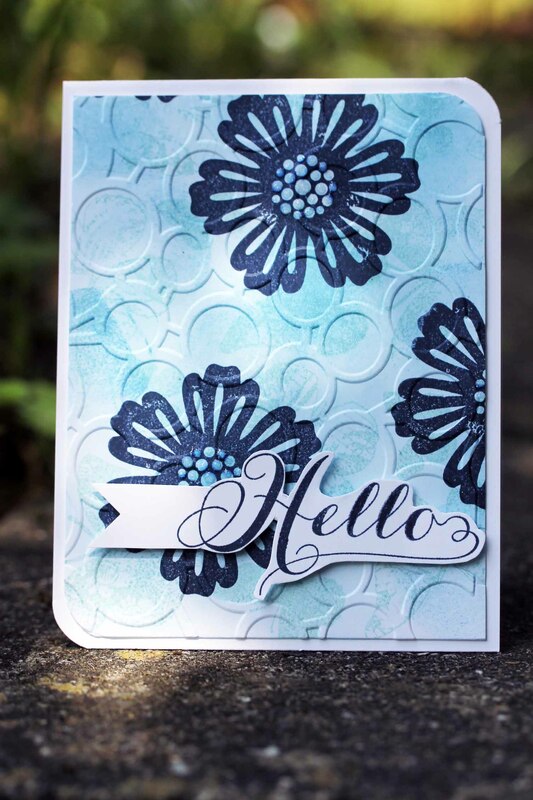 Stamplorations Sketch Challenge #36- Guest Designer! 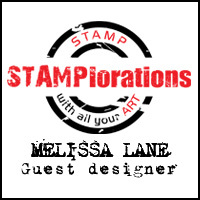 I am excited to be a guest designer for Stamplorations #36 challenge this month! 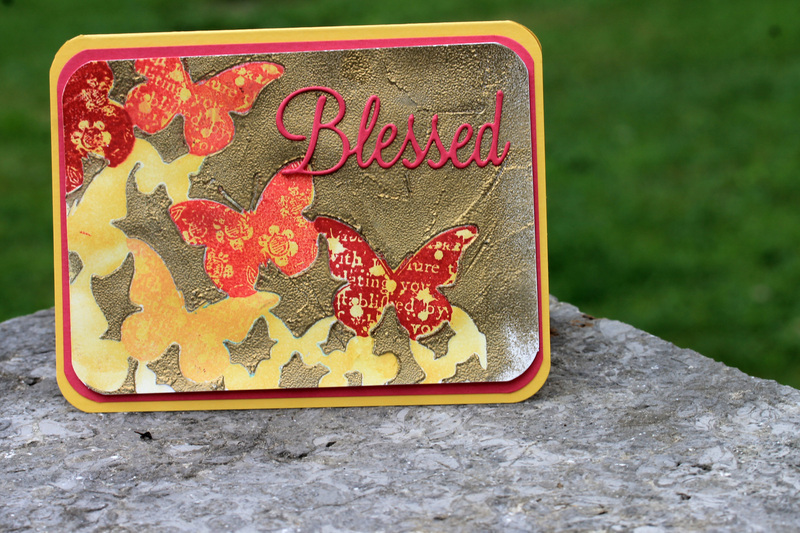 I used the Shower of Flutters – ARTplorations Stencil along with the Trendy Butterflies Stamp Set from Stamplorations for this card. I have been having a lot of fun with this stencil! You can see some of the other cards that I have made with it here, here or here. 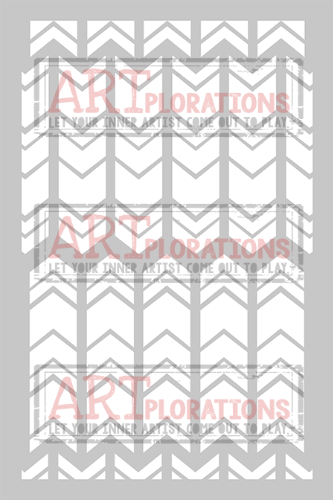 This time I chose to mask off part of the card front to imitate the design of the sketch. Thank you, Shery, for choosing my card as STAMPlorations Sketch Challenge #33 Winner and giving me the privilege of Guest Designing for Sketch #36!